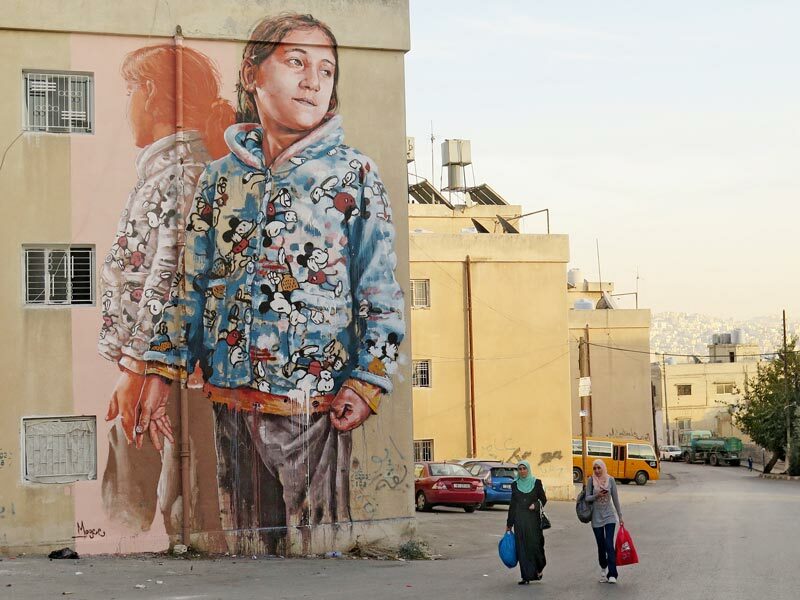 Artist Fintan Magee transforms vacant city corners into striking murals, sharing his ideas, sparking conversations and bringing beauty to passers-by. The first time I encountered one of Fintan Magee’s murals, I felt as though I’d been punched in the stomach. Walking down Alice Street in Sydney’s inner-west suburb of Newtown, I was stopped in my tracks by the sight of a young man in an ocean-blue shirt. Emblazoned on the dark-red brick wall in front of me, this man was utterly lifelike, from natural folds that had formed in his clothing to the flecks of light brown and blond in his otherwise auburn hair. However, what really provoked my sense of wonder was his torso, or lack thereof. In its place was a large metal birdcage, empty except for one finch-like bird that had yet to fly the coop. I felt paralysed watching him, but ultimately I was the one who walked away, while he is still stuck in that moment, letting something beautiful and cherished fly away. This was my initiation into the whimsical, entrancing and often confronting world of Fintan Magee’s art. A common challenge for Fintan is the form his art takes; the creation of large-scale street art in often-isolated corners of a city can be problematic. “The logistics of producing large works can be highly stressful,” says Fintan, regaling me with a tale of being rescued by the fire brigade in Portugal when one of his lifts broke down. “It’s also a lot of pressure when you’re working in public spaces, because if you produce something you’re not happy with, then it’s stuck there and everyone can see it.” I imagine some of my career mistakes on display to the public and cringe a little. Although that said, I’m yet to come across one of Fintan’s murals that I don’t love. As well as beautifying public spaces, many of Fintan’s works have political and social undertones. For instance, one of his most recent artworks, Drowning While Standing — which stands tall in Acquapendente, Italy — is a statement on youth concerns about climate change. The image of a young man, seemingly drowning in a tank of water that surrounds his face, is highly confronting but it sends a powerful message. While this mural is in Italy, it’s impossible to separate its message from Fintan’s personal experience with the 2011 Brisbane floods. Of course, not all of Fintan’s works are political; many of them are created purely for their aesthetic value. But if my experience of these murals is anything to go by, they capture the heart just as much as his didactic works; they stay with you long after you’ve passed them, and leave you wondering about the man who constantly brings such beauty into this world. Yep, The Book Of Mormon is politically incorrect. Shockingly so. Offence is up for grabs. In fact, there’s something for everyone to their knickers in a knot over. 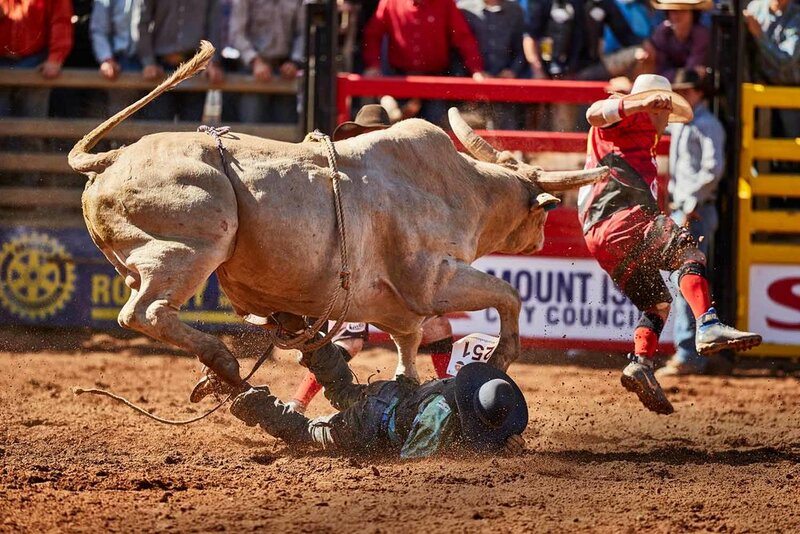 Meet some of the colourful characters that make Queensland’s Mount Isa Rodeo such an entertaining and thrilling spectacle. There’s no need to feel guilty about a luxurious, romantic getaway filled with endless indulgence when you have a confessional booth on hand.